Gab, the Social Media Site for the Alt-Right, Gets DeplatformedAfter the Pittsburgh shooter was found to have used the site, it was abandoned by its business partners. What does that mean for Twitter? Charlottesville Organizer to Hold ‘White Civil Rights’ Rally Near White HouseThe National Park Service has approved Jason Kessler’s request to hold an event marking the one-year anniversary of the deadly protest. The White-Supremacist Website Stormfront Is Running Out of MoneySo sad. Kentucky Is the First State to Enact Medicaid Work RequirementsThe state estimates that the change will result in 95,000 fewer people on Medicaid. Restaurant That Employed NYT’s ‘Nazi Sympathizer’ Is Under Online AttackThe alt-right is out in full force after Tony Hovater’s firing. DI Politics Chat: How Should the Media Cover Nazis?Five New York staffers chatted about that New York Times profile and the broader question of how (and whether) to write about Nazis. 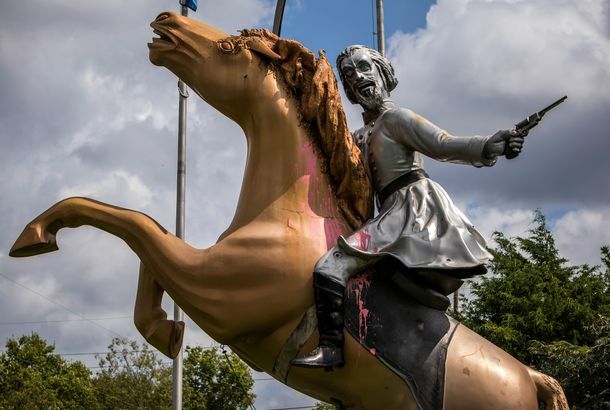 America’s Ugliest Confederate Statue Isn’t Coming Down Anytime SoonA Tennessee town’s absurd and tacky monument to General Nathan Bedford Forrest. 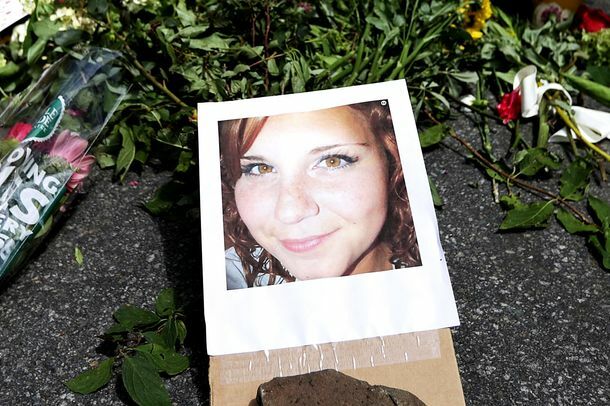 What Heather Heyer KnewShe initially decided that it would be too dangerous to stand up to right-wing extremists. She changed her mind. Why? White Supremacist Christopher Cantwell Surrenders to PoliceThe charges stem from his use of pepper spray at the rally in Charlottesville, which he says was justified. America Coming to Grips With an Incorrigible TrumpDonald Trump didn’t just say something outrageous. He contradicted his own correction of an earlier outrageous statement. This is new and disturbing. Trump Says ‘Alt-Left’ Deserves Blame for Violence in CharlottesvilleThe president condemned “neo-Nazis” and white supremacists — but defended the right-wing protesters who simply wanted to preserve their history. 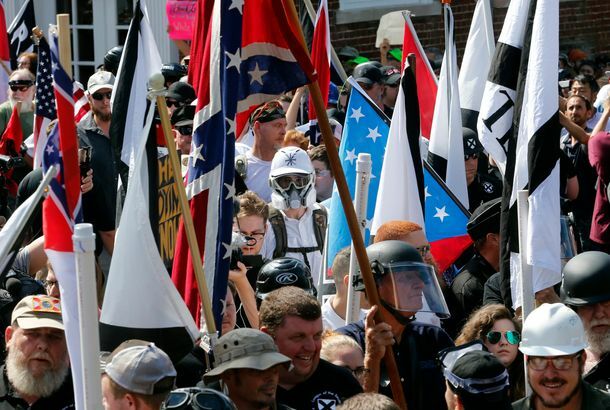 How the GOP Can Prove It Isn’t a Party for White SupremacistsRepublicans need to do a lot more than say the right words about Nazis to atone for their role in the revival of the racist right. White House Tries and Fails to Defend Trump’s Ambiguity About CharlottesvilleMany sides are to blame for the haphazard defense of the president’s response to Charlottesville, but none more so than Trump himself. Trump’s Silence on White Supremacist Terror Is Political Correctness Run AmokThe president is too afraid of offending oversensitive conservatives to protect America against radical racist terrorism. Shia LaBeouf Shouts a Racist Troll Off His Anti-Trump Livestream Exhibit At the actor’s Museum of the Moving Image installation. White Supremacist Gets 30 Years for Anti-Muslim Death-Ray PlotHe described himself as a cross between Darth Vader and Forrest Gump. Hundreds Protest White Supremacist’s Speech at Texas A&MThey were met by police in riot gear. The Alt-Right Gives a Press ConferenceThe leaders of the movement make their case for Trump and a new politics of the white race. Trump Selects White Supremacist As Cali DelegateWhat’s more, it might be too late to remove him from the delegate list. ‘Pro-White’ Host Says He Interviewed Trump’s SonAn “unapologetically pro-white” radio host was given press credentials by the Trump campaign. How Does a White Supremacist See America Today?Don Black, founder of the white-supremacist group Stormfront, talks about Donald Trump, the Charleston shooting, and the future of his movement.